Here are some great jobs to look for right after college. The next step for many people after they have graduated from high school is to enroll in an undergraduate program at a college or university in order to build receive a degree that will land you interviews with jobs after their education is complete. Although earning a higher degree can indeed help you get ahead, there is no ruder awakening than realizing that you have spent four years — not to mention thousands and thousands of dollars — on a degree for an industry that is not thriving, or worse, doesn’t exist anymore. So what are the most in-demand jobs out there? According to a spring survey study performed by the National Association for Colleges and Employers, they are projecting that “employers plan to hire 1.3 percent fewer graduates from the Class of 2018 for U.S. positions than they did from the Class of 2017”. For example, they found that the insurance industry is cutting 42% of all new hires due to the lack funds created in the wake of back to back natural disasters over the past few years. So what are some “sure bets” for jobs that will be available for when you get out of school? Here are some jobs that have not been affected by this statistic. 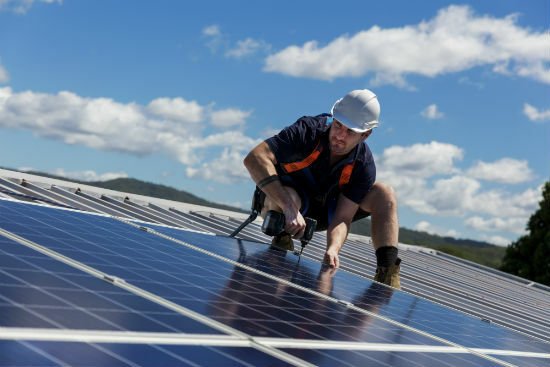 The need for forward thinking engineering positions like solar panel installers and wind turbine technicians are projected to boom in the next decade or so. As a matter of fact, the Burreau of Labor Statistics projects that both of these industries will increase by roughly 100% by the year 2026 as the emergence of green energy continues. Both of these in-demand jobs offer competitive salaries with solar panel installation averaging around $40k and wind turbine technicians averaging around $54k per year. According to the Bureau of Labor and Statistics, the need for in home care professionals will only grow exponentially between now and the next twenty years. This can be attributed to the majority of our population aging and needing care as they begin to leave the workforce. According to the Federal Reserve Bank of New York, the unemployment rate for these positions between the years of 2015-2016 was at .09% and will only go down from there as we see the need for these in-demand jobs growing in the years to come. The average salary for these in-home caregivers is around $24,000 per year which may not be as desirable to new college graduates. But, the assurance of having a job right away could be a great incentive to get your career started as a medical professional. As we have seen in the news recently, many schools across the country are facing a teacher shortage and are finding themselves severely understaffed. In a recent study performed by the US Department of Education, they found that only 4.6% of college freshman in 2016 had said they had an interest in studying education and that the majority of states have reported shortages in both math and special education teachers in their schools. This means that the need to fill these in-demand jobs is there for new graduates and with a median salary of between $45k - $50k for each, that the salary is there as well.